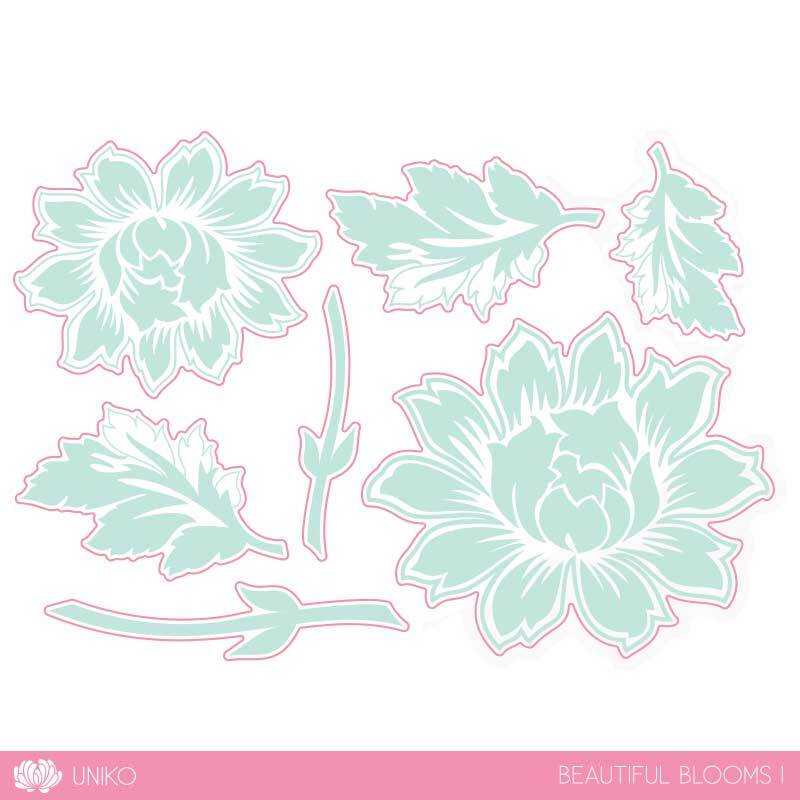 Hey all, this month at Uniko, we are revisiting an old set - Beautiful Blooms I stamp set and the matching dies too. This set one of my most loved Uniko sets, and I used quite a lot in past. A triple layered twine, and a few jewels to finish off. 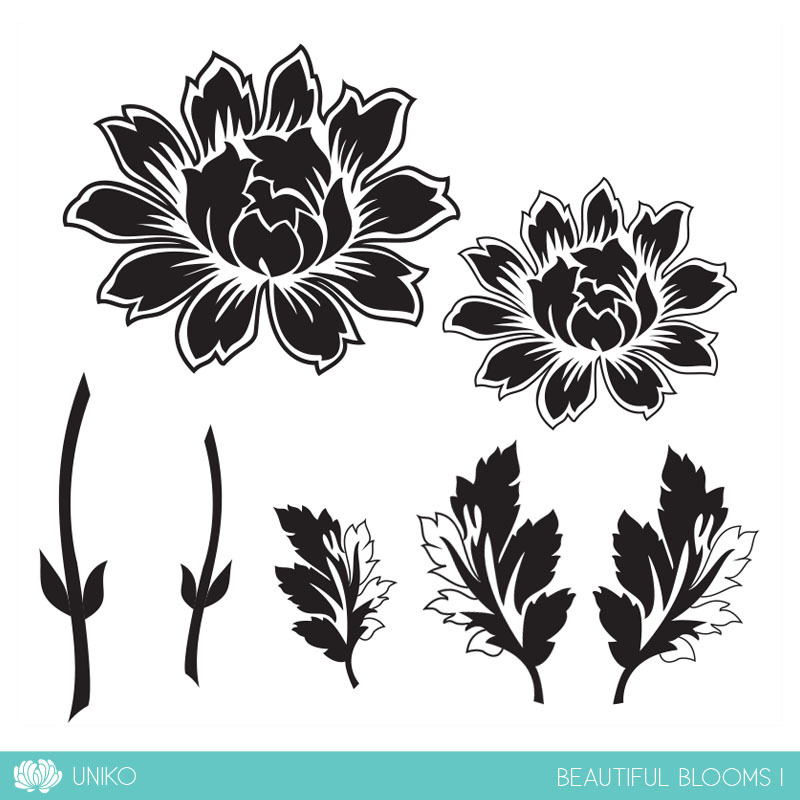 Prize: Beautiful Blooms I Clear Stamp Set & Designer Dies (or a eGift Cert to the same value if the winner owns the prize). To be eligible to win, they must comment along the hop by Midnight Friday 20th January. Winners Announced Saturday 21st January. Stamped and die cut flowers and stamped the sentiment. Joining with a simple birthday card. Rahmat this card looks so elegant, love the design, such a beautiful flower. Oh my!!! Such stunning card!!! Beautiful colors!!! So, so pretty Rahmat! Love it's softness! Thanks so much for joining in the fun at our Double D ‘ANNIVERSARY CELEBRATION’ challenge! We hope you’ll come back often. I'm back again with a different DT hat on and still LOVE the softness of this creation! So pretty! Thanks so much for playing in our ‘Anything Goes with Dies’ challenge at Dies R Us! Please come back again soon! Love this lovely colours and who does the sentement poped. 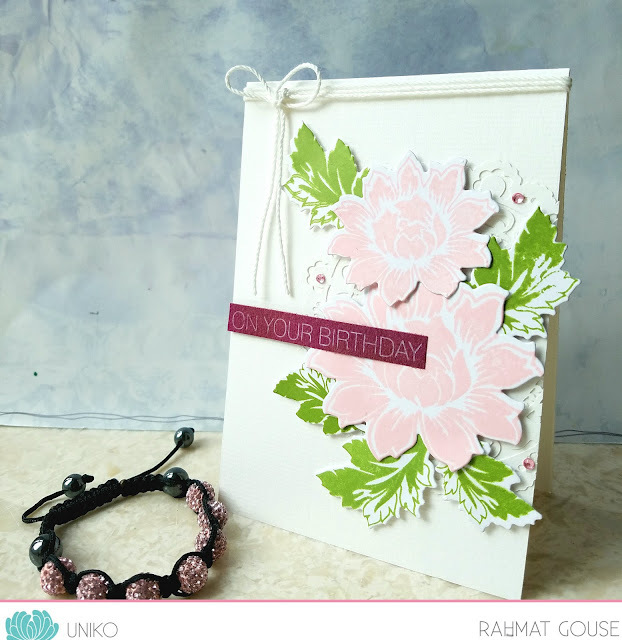 Beautiful Card Rahmat..Love the design and the use of soft colors..
Soft, beautiful and elegant card Rahmat! Those flowers look absolutely gorgeous!! Beautiful card! Love the soft colors of the flowers and the layering is perfect. Great job! 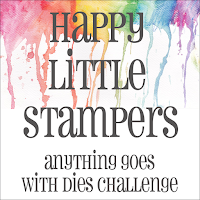 Thanks for joining our "Anything Goes With Dies" challenge at Dies R Us! So soft and pretty, I adore the punch of red! Beautiful flowers and leaves! Love your color choices! Beautiful! Love your soft and gentle colours, showcases the bloom perfectly. I love the soft pretty colours that you chose! Beautiful! Wow, beautiful and elegant card. Never would have thought to combine these colours So pretty! Such a beautiful card' I love the cluster you created. LOVE your blooms on the card. So beautiful and elegant with the soft color. Absolutely beautiful Rahmat ! So delicate and so CAS ! Love the contrast of the soft color for the flower against the dark color for the sentiment ! Thanks for sharing and for inspiring. Very beautiful card. Such a lovely design. Gorgeous Card Rahmat! The colors are so soft and beautiful! Love the use of the dies! Thanks for playing with us at HLS Anything Goes with dies! This is STUNNING! Loving your big, bold blooms! Beautiful Birthday card, great design and layout too! Thanks so much for playing along with us again at The Double D Challenge Blog, Donna, DT Member.